New Year’s Resolutions come and go, but this is a great time of year to resolve to let go of that extra baggage – for you AND your best friend. It’s an unfortunate fact of life that Americans and their pets are too well fed, resulting in overweight and obesity. Carrying too much weight can cause health problems from diabetes to heart problems to bone and joint damage for people and their pets. Try some of these ideas to burn calories and build strong muscles and bones. 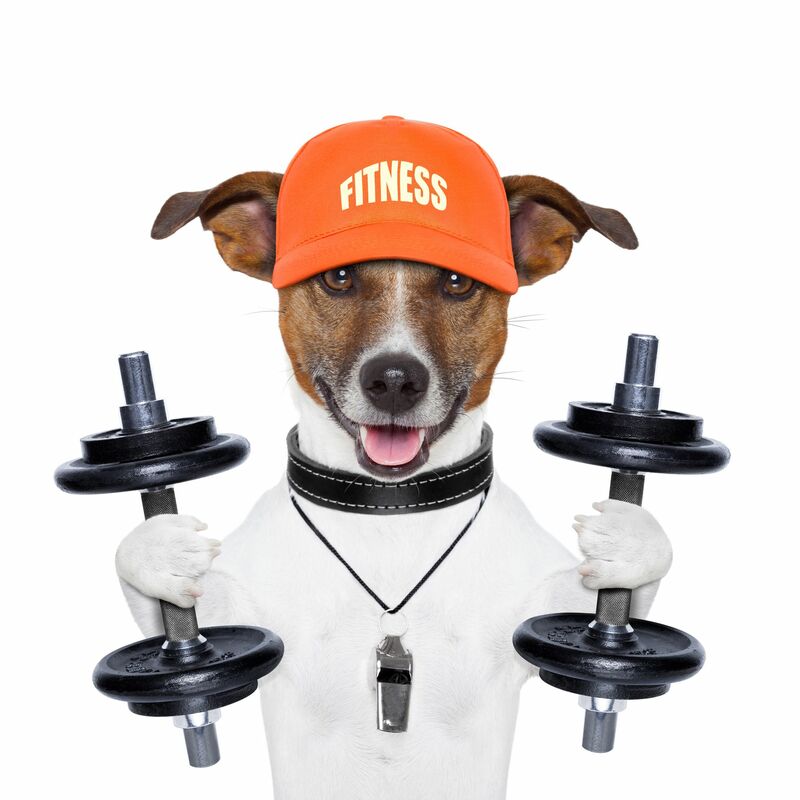 Always consider your and your pet’s health and conditioning before beginning any exercise regimen. If you’re not sure that you or your pet is healthy enough to workout, contact your physician or veterinarian. Too Cold and Icy for a Run? If you live where winter becomes an impediment to your outdoor exercise schedule and your gym doesn’t allow dogs, consider a brisk walk in the park instead of running along icy roads. When you walk in snow, you’ll be using more energy than on a smooth road, so your walk can turn into a calorie burner for you and your dog. Whether your dog needs to learn Stay and Come commands or could use some practice, you can turn training into a game while you both get some exercise. If you have carpeted stairs you and your dog (or cat) can get some extra aerobic exercise. Just ask your dog to Stay while you race up the stairs (or down the hall, or across the yard) then call her to Come. Praise her lavishly while you reward her with a treat and repeat until you’re both breathing hard. When your pet gets good at Stay, you can turn it into a game of Hide and Seek by using the Stay command or distracting him with a few treats while you hide then give the Come command or whistle to get him searching for you. If you have helpers at home, they can hold or distract your cat or dog while you hide then give the Find and your name command to teach another behavior. If your pet is in better shape than you, a game of fetch can stretch out muscles and create those feel good endorphins that will make your pet happy and relaxed when the game is over. Just the thought of exercise can make you tired, but if you make working out a game for you and your pets, you’ll both enjoy getting in shape. And don’t forget to get a Hale Pet Door to make sure that your pets are healthy and happy in 2014!